The Coinscious team landed in Hangzhou where we made an appearance and spoke at the Consensus Ark symposium. 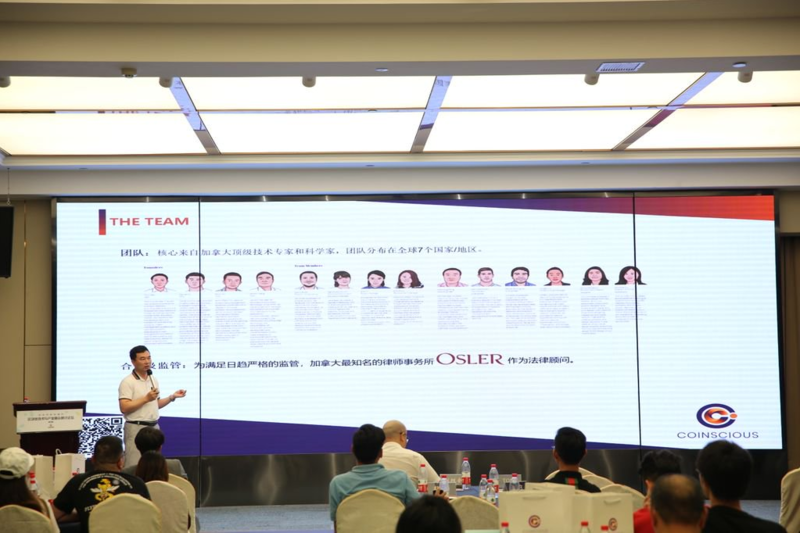 This event was attended by Janson Jiang, our Co-Founder and CSO; David Buell, our Director of Marketing; along with members of our Shanghai team. This significant event was sponsored by CA Consensus College, One TV, and BC Incubation Commune. Janson took to the stage and described the three core technologies of the Coinscious Collective™ platform: Big Data, Artificial Intelligence and Blockchain. He emphasized how the Coinscious Collective™ platform is designed for both professional traders, as well as your non-technical average joes. Janson stressed the importance of having good insights in order to successfully trade in the coin market, but noted that there is currently a lack of good data providers. He advised that in order to address this concern, Coinscious has deployed hundreds of global servers to collect data from major exchanges and blockchains. He also announced that Coinscious has set up a laboratory with a team of top AI experts to analyze the rules of cryptocurrency. In a couple months, this data will be available to our institutional users. In his presentation, David discussed the current status of the coin market. He explained how the bearish coin market is just a part of the volatility of an immature market. Even so, there is a lot of optimism for the coin market. Even with lower coin prices, more funds continue to move into the space and we also see that user adoption is growing year-after-year. Globally, the coin market is still in its infancy and its continued adoption by the general public will help allow it to further mature. The last and final destination on our Coinscious global tour was Wenzhou! We had the great opportunity of attending an intimate and private event with 30 distinguished guests. During this event, our team introduced our Coinscious Collective™ platform and shared insights into cryptocurrency investment trends, tools, and strategies. Janson had the honour of being a keynote speaker here, as well. During his speech, he shared his views on the current global coin market and the pain points it is experiencing. He noted that the coin market is currently in a rapid-growth stage. Inevitably, risk comes with opportunity. The main challenges for the coin market include: unpredictability of news reports, lack of useful information, security issues, multiple exchange accounts, and multi-wallet management difficulties. Janson explained that ultimately, there is a lack of big data and analysis tools that can deliver professional quantitative analysis. Together, all of these challenges erect barriers that prevent potential investors from entering the market. Furthermore, Janson described how AI-driven insights can make up for these shortcomings. He carefully illustrated how an automatic arbitrage trading scenario was able to take advantage of the value found within the Coinscious Collective™ platform. He shared the platform’s 24/7 event monitoring capability, pattern recognition and event analysis features, as well as ratings based on user risk preferences and ROI expectations. Just as in Hangzhou, the responses we received were overwhelming and humbling. Both individual and institutional investors showed great interest in Coinscious and its data services. Many expressed their eagerness for our platform to launch so that they can start accessing investment tools that will provide helpful market forecast and trading strategies. At this event, Janson and Tom participated in a Q&A session. Below are some highlights from that interview. Q1: How can Coinscious beat competition that offers similar tools and services? A1: There are very few, and in fact no major players, offering data services in the cryptocurrency market. If you take the stock market as a benchmark, many companies provide data services in every country’s market. In terms of numbers, there is nothing comparable in the cryptocurrency market. In addition, our AI-driven analysis methods differ greatly from the traditional algorithm and speed driven financial markets, like the stock and foreign exchange markets. Given the unique traits of the cryptocurrency market, we believe that the Coinscious platform could help quantitative trading investors perform better. Q2: In the traditional markets, the quantitative operation needs to be back tested, using data from five or even ten years ago. A data set that large is not available in the cryptocurrency market. Given the lack of data, how can Coinscious overcome the difficulties of quantitative trading? A2: This is exactly the type of challenge that Coinscious was created to address. Coinscious extracts available data from reliable sources, providing users with the opportunity to create better investment strategies. 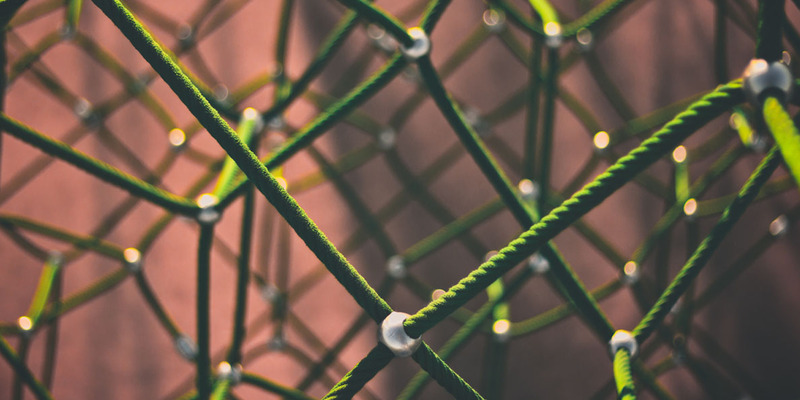 Through our own unique data analysis, we provide more information to help investors find more opportunities and build quantitative strategies that can adapt to the cryptocurrency market. We also recognize that the cryptocurrency market requires a different strategy. The market changes rapidly, making historical data less useful compared to traditional markets. A strategy that worked in 2016 is less likely to work in 2018. Further, Coinscious helps investors in the traditional market understand and adapt to the crypto market using AI-driven data analysis. Finding useful data is crucial to this market. Quantitative traders have to create strategies based on the data they can access. In this market, patterns and insights change all the time. It’s hard to accumulate historical data, since many cryptocurrencies have only short histories. This demands a quantitative trading strategy that differs significantly from strategies used in traditional financial markets. Actionable intelligence: Relevant information needed to make a decision or take an action, usually quickly. You’ve probably heard the phrase actionable intelligence before. Sometimes it’s used in law enforcement. When an informant or a witness tells a law officer about a crime they’ve observed or about plans to commit a crime, that’s actionable intelligence. It gives law enforcement reasonable cause to take an action of some kind. The phrase also applies to business and refers to any information that gives a business a competitive edge or improves its performance. For example, a business hears that a competitor plans a sale of a product tied to a holiday. The business may then match that sale and perhaps start it earlier to get a jump on their competition. Actionable intelligence is news you can use. Right now, reliable information that can be acted on is missing from the cryptocurrency trading market. Traders have access to some information, but its accuracy may be in doubt. Traders rarely have access to key information they can use to inform their market moves. Cryptocurrency trading faces the same pressures that other new markets have faced. There is little infrastructure to support this market. Some coin exchanges must suspend account creation due to high demand and load. Traders worry about security issues, delayed transactions, price manipulation, and robot use by other traders. Risk, uncertainty, and security concerns loom large over coin trades. There’s also little if any regulation of these markets, causing some traders to lose faith in the exchanges. Price manipulation and hacking incidents erode investor trust. Every country is coming to terms with the arrival of cryptocurrency. Some are embracing the market as a sign of things to come. Others are fiercely opposing the markets, believing cryptocurrency to be a nuisance that will eventually disappear. The volatility and unregulated nature of these markets means investors must stay aware of security issues. Hyperbolic ads, planted news reports, and social media hysteria create a “gold rush” mentality convincing people to sink their money into questionable coin offerings. For the serious investor, the challenge comes in separating reliable data from noise. For all these reasons, Coinscious is determined to deliver actionable intelligence in their platform. While other sites and apps simply provide information, Coinscious actively uncovers patterns in the information. With these AI-generated and data-driven insights, traders are better equipped to build portfolios and create, execute, and refine their trade strategies. Despite continued signs of volatility, the cryptocurrency market is actually maturing. Governments and regulatory bodies are paying close attention because of the value flowing through the market. Investors are looking for dependable intelligence that they can use to create smart trading strategies. Traders are clamoring for tools like those used by stock market investors, which can regulate their trades and follow buy/sell rules. These are all signs that sanity is gaining ground in this emerging field. As this market continues to mature, what attributes should traders want in the information they use to inform their decisions? Reliable: Find sources that offer intelligence regularly and that have proven to be dependable. Credible: Credible sources offer reasonable grounds for being believed. These sources are backed by primary data that can be checked against. Hype-free: Much of the publicity surrounding the coin market is filled with hype and traders may allow emotion to drive trades. It’s important to track sentiment, but that measure needs to be correlated to price data. Timely: Intelligence only matters if it comes early enough to be acted on. Serious traders need a consistent flow of information that comes on time every time. Accurate: Information does no good if it’s riddled with errors. You need exacting, error-free data as you maneuver through the coin market. The Coinscious Collective™ platform tracks price, trade, and social media data, using AI to separate data from hype. The goal is to deliver actionable intelligence that investors can use to evaluate market performance and create smarter strategies. The platform uses deep learning to reveal hidden patterns. Our models generalize future trends while also factoring in uncertainty. In this way, the Coinscious Collective™ platform limits non-essential data and delivers statistically credible information that both amateur and professional investors can rely on. Want to understand how the Coinscious Collective™ platform delivers actionable intelligence? Visit Coinscious.io to learn how Coinscious works.